Educating ourselves and our communities are vital parts of YAYA’s work. Listed below are some of the educational events we hold that engage with partners and farm worker communities. If you would like us to host a presentation or have a table at your event please contact us for more information. 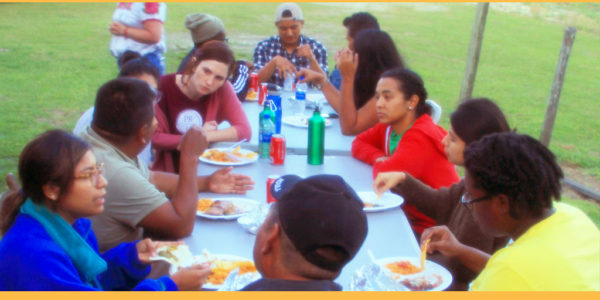 YAYA works diligently to keep our community engaged on all things pertinent to farm workers, land, and food justice. We offer presentations on various topics to inspire communities to act. We take requests! YAYA strives to be active in our communities; if possible we have a table at all applicable events. 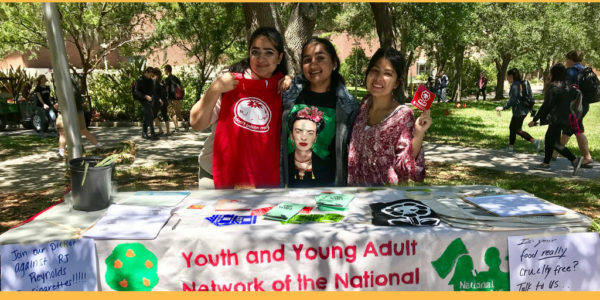 Shoot us an e-mail if you’d like a YAYA table at your next event! YAYA wants farm workers to be aware of their rights and about potentially harmful practices their employers might engage in wrongfully. 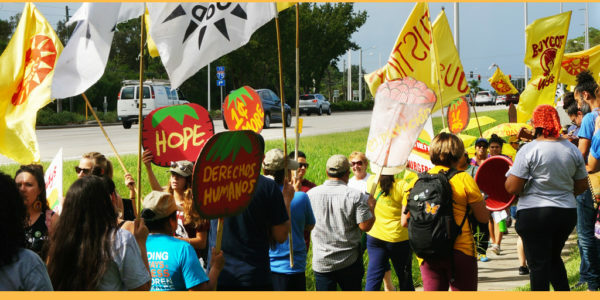 To prepare farm workers to stand up for justice, we host training on topics such as pesticide exposure and immigration laws. Do you know farm workers who should be aware of something like this? Let us know! 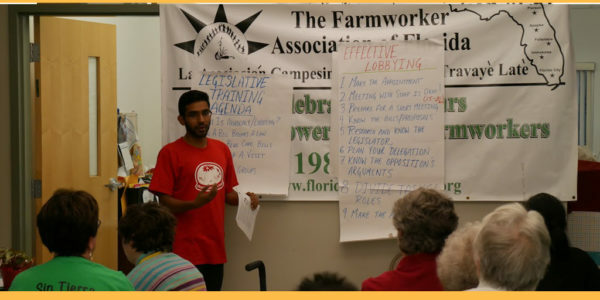 YAYA makes a point to educate ourselves about the struggles of farm workers around the nation. Immersion trips around the country put us in touch on a personal level. Here's a write up from our 2018 trip to North Carolina!